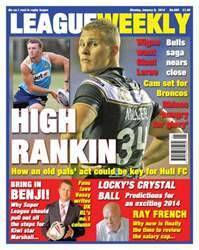 Into the New Year we go with star columnist Andrew Voss calling on Super League to make a raid for union recruit Benji Marshall, and the Bradford Bulls saga hopefully drawing to a close. 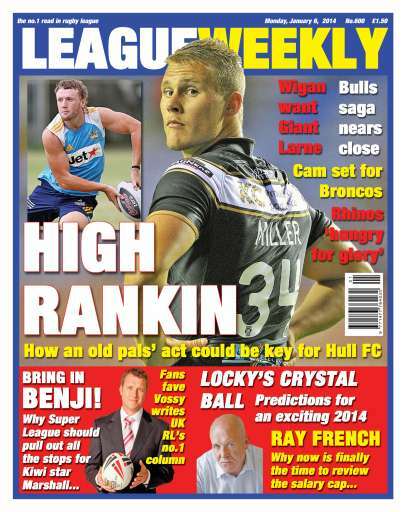 Motu Tony picks his Dream Team and Danny Lockwood looks forward to what 2014 might have in store ... with an abundance of good news! In addition there's an in-depth interview with Martin Coyd OBE, the stormtrooper of southern (and wheelchair) rugby league. And of course all the news as usual!